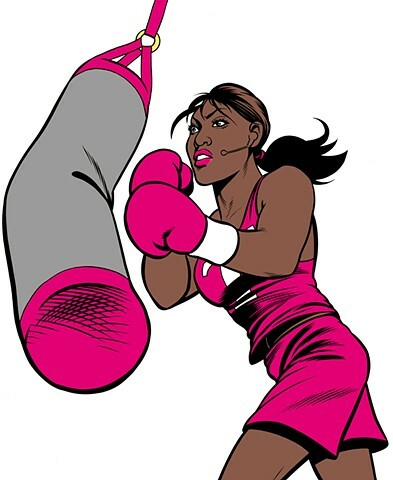 The T-Mobile projects started out as storyboards and ended up as images to be used in animated pieces for corporate films. One of the characters had to be based on an actual executive, the rest I designed. This one is for a sequence showing employees working out.